Are you one of those people who needs to set 4 alarms on your phone preparing for your inevitable hitting of snooze or you have to put your phone on the other side of the room to literally force yourself out of bed? You’re not alone. Clever women who struggle to find the time to do their hair in the morning have found a solution: styling while sleeping. These overnight hairstyles take a few minutes of prep work before you go to bed, then you get a good night’s rest, wake up and you’re ready to go. The sock bun is famous and worn all around town. Best of all, you can use this fabulous hairstyle trick to get curls while you sleep. By simply spraying your hair with some water, roll your hair up into a sock bun, and sleep on it and in the morning you’ll have flawless curls the next morning. 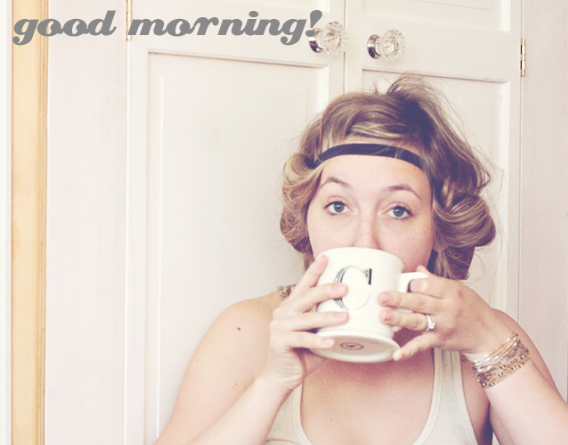 Who doesn’t want to wake up with soft retro curls? There are two different ways you can do this. For both of them you want to start with your hair about 70% dry. The first method is that you can use bobby pins. You simply take two-inch sections of hair, wrap it around your finger and then pin the curl with a bobby pin. Repeat until you’ve finished the entire process. Once you’ve finished add a second bobby pin to each curl so that they are secure through the night. Second, you can simply wrap your hair up in bendy foam rollers. They are soft and comfortable so you can sleep without problems. When you wake up you might want to loosen them so that they are bouncy and loose. If you have a few bandanas lying around then this is a great way to get waves. Simply braid your damp hair with bandanas and go sleep. Depending on the length and fullness of your hair you might want to use 4 braids so that the curls are even. 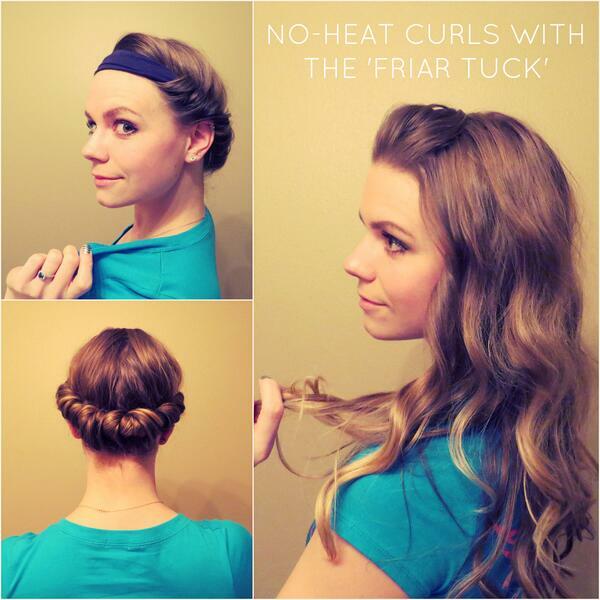 For this clever no-heat overnight hairstyle you just need a headband. You might want to add a little mousse, gel, or sea salt spray. You simply take a stretchy headband and wrap it around your head (think boho style). Then you take 2-inch section of your hair at the front and loop it towards your face and tuck it into the headband. Repeat until all of your hair is wrapped up. Then get a good nights rest and wake up to beautiful boho curls. We hope this overnight and no heat styling techniques will save you time in the morning and allow you to hit snooze one more time.